Timers are 3.5 inches with coordinating cap and sand color. The time is yours! 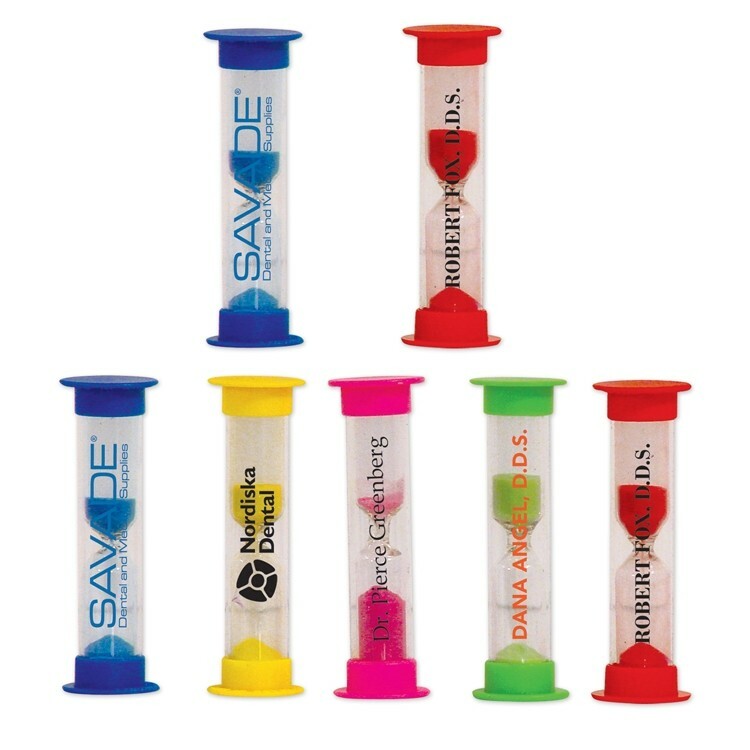 These fun-sized, 2 minute sand timers measure 3 1/2" and are perfect companions to any game. A great way to promote a medical practice they're an ideal giveaway at tradeshows, conventions and conferences. Available in blue, red or as an assortment, they can be customized with your name brand or logo and handed out in a timely fashion. Coordinating cap and sand color.